Toyota has been doing things quite a bit differently of late. On Friday, the Japanese car manufacturer announced that it was shifting production of its Lexus ES sedan to the United States. This Saturday, Toyota will introduce the 4Runner at a music festival in California, the first time that this automaker has tied a product reveal to a music venue. Both moves are new for Toyota, so what gives? That’s a question Auto Trends asked Toyota in a bid to understand the changes the company is making. Such changes represent only part of an increasingly broader effort that Toyota senior management is undertaking to allow its American operation to make decisions that once required extensive board review and approval. Indeed, the company now entrusts its US operation team to run its business apart from the board’s strict oversight. 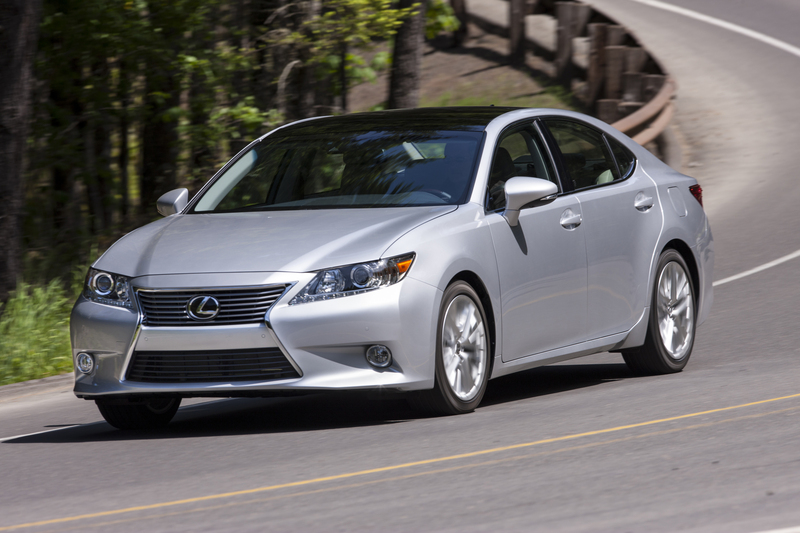 That change was made evident on Friday when Toyota Motor Corporation President Akio Toyoda appeared in Kentucky to announce that Lexus ES production was shifting stateside beginning in 2015. This will be the first time that a Lexus model will not be manufactured in Japan. Said Toyoda, “This is a new team, a new beginning and a new Lexus. We are changing at Toyota, but one thing will never change. And that is our strong commitment to the United States. We are united and committed to fulfilling the needs of our customers and strengthening local communities, here and around the world.” That new team pushed to have Toyota expand its Georgetown, Ky., manufacturing plant, a $360 million investment that will also create 750 jobs. Toyoda, who received his MBA from Babson College in Massachusetts and has been leading Toyota since mid-2009, is playing no small part in remaking the company. He successfully pushed for the appointment of three “outsiders” to sit on Toyota’s board of directors, the first time in the company’s 76-year history that it has taken this approach. One of the new board members is Mark Hogan, a former GM executive and independent consultant. This past March Bob Carter, senior vice president of automotive operations for Toyota Motor Sales U.S.A. Inc., spoke on behalf of his company at the J.D. Power/NADA 2013 Automotive Forum. Carter acknowledged that Toyota had to learn how to be “open, transparent and honest with our customers,” a change that came about after the automaker endured a series of highly publicized recalls affecting millions of its vehicles worldwide. Back then, Toyota did not fully understand social media and the 24-hour news cycle. The company’s public relations and marketing arms were overwhelmed, responding weakly and defensively to press inquiries, making it seem as if it was hiding something. Public apologies by Toyoda helped to quell the uproar, with much introspection by Toyota management following. Toyota’s management changes go beyond its board members and are now moving down to the regional and local level. Indeed, four of the company’s eight regions are now led by non-Japanese managers and even Lexus’ global operation is under the care of an American, Mark Templin, who previously ran the luxury brand’s US operation. Each of these efforts have been made to transform Toyota from a Japanese-centric automaker to one with a global mindset. That fresh mindset also means that Toyota can introduce new products such as the Toyota 4Runner at different and even unusual venues. This Saturday the next generation 4Runner will be revealed at the 2013 Stagecoach Music Festival in Indio, Calif., just 30 minutes from Palm Springs. Toyota has been a presenting sponsor at this event for seven years and has tapped radio personality Cam Buzz Brainard to introduce its all-new SUV. If you were thinking that it will be “business as usual” for Toyota going forward, then the company’s new approach may be closer to “expecting the unexpected.” That’s a welcome change for a once highly predictable, even stodgy automaker. Photo courtesy of Toyota Motors Sales U.S.A., Inc.